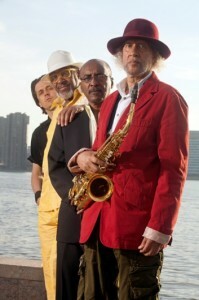 Gary Bartz Quartet: a few names relating to Gary Bartz: Mccoy Tyner, Miles Davis, John Coltrane, Art Blakey… shall I go on? Apart from being obviously legendary, having not only witnessed but also helped create jazz as we know it, and having one of the best afros of all time in the 70s, Gary Bartz is one of the most amazing alt and soprano saxophonists I have ever had the pleasure of hearing. He has produced over forty solo albums and over 200 as a guest artist, and has a Grammy under his belt. This will be his first time in Israel performing with his permanent quartet: Barney Mcall on piano, Jimmy King on contrabass and Greg Bandy on drums. Don’t miss this show on Friday, May 31st at 9pm on stage 3.